Mouth of Clay - "Still Open"
Mouth of Clay is a new Swedish band that play full on classic 70’s rock. The best comparison I can make is take the best of Whitesnake and mix that with post Gillan era Deep Purple. Santez is a fantastic singer that sounds like a mix between David Coverdale and Glenn Hughes (what a gift!). He is backed up by Phrille on guitars, Olle, the great one armed drummer and Johan on piano and organ. I previously reviewed the bands Demo CD from last year. All three of those excellent songs were rerecorded and are presented here as well. The band really shines strongly during the ballad songs, like Black Rose and Crazy Way. These are not commercial pop songs but strong rock ballads with heavy parts as well but very emotional music. Funk it is very much like the funky stuff on Come Taste The Band by Deep Purple. Many of the songs are strongly driven by the excellent organ playing by Johan. If you like 70s ROCK you deserve to make sure you hear this fantastic new band. I can’t imagine a better debut from this new band. 5 stars!!!!!!!! 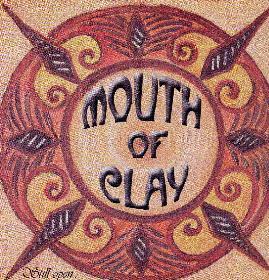 For more information you can visit the Mouth Of Clay web site at: http://www.mouthofclay.com.